The scam usually goes like this. You receive a telephone call from someone posing as a tech. This person will tell you your computer needs to be checked for problems. This person will eventually ask you for passwords or other sensitive information. They will then tell you they need you to allow them to install remote access software on your computer so they can fix it. DO NOT UNDER ANY CIRCUMSTANCES ALLOW ANYONE YOU DO NOT KNOW TO INSTALL SOFTWARE ON YOUR COMPUTER Once you allow these people to install remote software on your computer they now have unlimited access to your computer anytime it is connected to the internet. These unscrupulous people usually install malicious software as well. Then they will try to charge you an exorbitant fee to clean up the mess. Even if you chose to pay the fee your computer will not be fixed. Sometimes they will have e-mail information. This could mean your e-mail may have been hacked. There are many ways of gathering someones e-mail information but you should change your password right away. The best thing to do if you get a telephone call like this is to just hang up. These people can only do damage if you give them access to your computer. 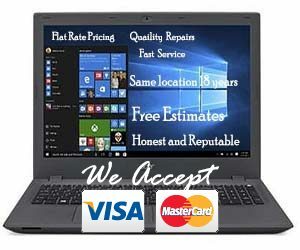 If we repaired your computer at some time we have installed Malwarebytes antimalware software. As a precaution run a Malwarebytes scan.